Kaitlyn Rizzo grew up in a small town outside of Cleveland, OH and recently graduated from the University of Dayton with a bachelor’s degree in Exercise Physiology. During the summer of 2017, she went abroad for the first time and spent four weeks in Lisbon, Portugal through The Atlantis Fellowship. In the following article, Kaitlyn reflects on the ways her experience challenged her expectations and shaped her medical aspirations. In my three and a half years of undergraduate study, I have never heard anyone declare: “I want to be a gastroenterologist.” For probably obvious reasons, this is not a popular aspiration of future doctors, myself included. Thus, after discovering that the first rotation of my Atlantis Fellowship would be in the gastroenterology department, you can probably imagine how I felt: less than thrilled. As students pursuing medicine, it can be easy to become naive and close-minded. In my experience, choosing orthopaedics was settling for what was comfortable. To be honest, I was extremely close-minded before attending my Atlantis Fellowship. I had shadowed a considerable amount in the U.S. prior to going abroad. Due to that experience, I knew that sports medicine and orthopaedics piqued my interest. Throughout high school and college, I had been used to these specialties, both as a patient and a student observer. My passion even led me to major in exercise physiology. Observing in an emergency department was the only time I strayed from this course, and shortly after, I drifted right back to orthopaedics. 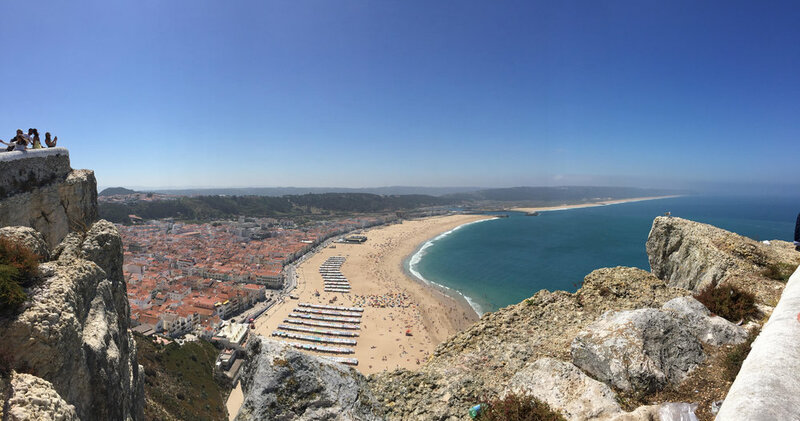 Because of my interests, I naturally hoped I’d spend my weeks in Lisbon, Portugal seeing procedures like knee replacements, shoulder arthroscopies, and maybe even a spine surgery. After all, this is what I wanted to do for the rest of my life… or so I thought. I had not yet had the opportunity to see surgeries like this in the past, and doing so in a beautiful, new city in Europe seemed a dream come true. The reality, as is often the case, was very different from my expectations. I saw absolutely none of the procedures I had hoped to see: no knees, no hips, no ankles, no shoulders. Yet, looking back almost a year later, I am forever grateful for this. Instead of seeing the body parts and procedures with which I was already familiar through prior shadowing experience, I saw a multitude of patients with problems I knew nothing about. I watched truly life-changing procedures and saw patients of all ages, none of which had anything to do with orthopaedics. I saw absolutely none of the procedures I had hoped to see: no knees, no hips, no ankles, no shoulders. Instead, I saw a multitude of patients with problems I knew nothing about. In fact, my Fellowship was spent in fields I had never even considered pursuing or shadowing. Yet, I can honestly say that my perspective and interests in medicine changed from pre-Fellowship to post-Fellowship. During my week in gastroenterology, I saw everything from a routine colonoscopy to an endoscopic retrograde cholangiopancreatography. In week two, the internal medicine physicians taught me the true meaning of patient care while also expanding my knowledge of heart and lung sounds. I had the opportunity to see a cyst removal on a one-month-old infant in my third week in the pediatric department. During that time, I also watched two children's lives completely changed due to the work of incredible surgeons who made use of other parts of the body to reconstruct something new. In week four, I watched a life-saving hepatic transplant, cancer removal, and a gastric bypass surgery. To say that I was lucky to have had these experiences is an understatement, and if I were placed in orthopaedic specialties during my Fellowship, none of it would have been possible. Had I not attended the Atlantis Fellowship last summer, I believe my journey to becoming a physician would have been much different. Now that I will be attending osteopathic medical school in the fall, I am incredibly lucky to have had the experiences I did on my Fellowship - even in gastroenterology. Going into medical school, it is great to be confident of one specialty, but truthfully, most people change their minds along the way. As students pursuing medicine, it can be easy to become naive and close-minded. In my experience, choosing orthopaedics was settling for what was comfortable. I closed so many open doors without even realizing it, but all you need is one experience to reintroduce new possibilities. My Atlantis Fellowship did exactly this, and I will be forever appreciative of the doctors, nurses, and other hospital staff who reframed my perspectives on medicine. As students pursuing medicine, it can be easy to become naive and close-minded. In my experience, choosing orthopaedics was settling for what was comfortable. I closed so many open doors without even realizing it, but all you need is one experience to reintroduce new possibilities. Kaitlyn Rizzo grew up in a small town outside of Cleveland, Ohio and recently graduated from the University of Dayton with a Bachelor’s degree in Exercise Physiology. During the summer of 2017, Kaitlyn went abroad for the first time and spent four weeks in Lisbon, Portugal through The Atlantis Fellowship. This fall, she will attend the Ohio University Heritage College of Osteopathic Medicine. At the moment, Kaitlyn plans to practice a surgical specialty, but is open-minded to any field that sparks her interest along the way.